Meanwhile, analysts from both Serbia and Kosovo are warning that the future of the dialogue now looks very uncertain, despite EU pressure for the talks between Serbia and its ex-province to resume. EU spokesperson Maja Kocijancic told BIRN that the murder on Tuesday in Mitrovica, in northern Kosovo, was deplorable but added that investigations to identify the perpetrators were underway. She confirmed that this week’s technical meetings had been suspended to allow the two sides to focus on the follow-up to the tragic event. “The EU is working with the two sides on resuming these meetings as soon as possible. The full implementation of agreements reached within the dialogue are obligations that both sides took and determine the speed of their advancements on the EU path,” Kocijancic underlined. The head of the Serbian government’s Office for Kosovo, Marko Djuric, told the media after the Serbian delegation decided not to attend the meeting with Pristina in Brussels on Tuesday that Belgrade was putting the dialogue on hold until Ivanovic’s murderers were found. But some in Kosovo say this is just an excuse. The head of Kosovo Prime Minister Ramush Haradinaj’s parliamentary group, Ahmet Isufi, said this was not the first time Serbia had abruptly stopped the dialogue. “This is the Serbian state’s way of behaving,” he said, adding that “the current representatives of the Serbian state are behaving in the same way [as former Serbian leader Slobodan Milosevic]”. Milan Antonijevic, from the Belgrade-based Lawyers’ Committee for Human Rights, YUCOM, told BIRN that it would be wrong for the dialogue to halt as a result of one murder. “I don’t think a political murder should decide the future of the dialogue,” he added. 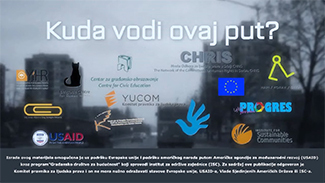 Together with seven other Serbian and Kosovo NGOs, YUCOM has created informal group to support the Brussels-led talks between the two countries. “Serbia’s decision to put the dialogue on hold is understandable, but is also impulsive,” Antonijevic added. He underlined that while finding Ivanovic’s murderers is important, it should not be connected with the dialogue. 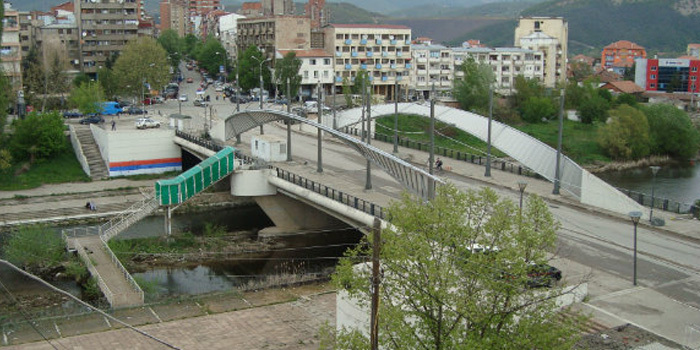 “As it is possible that responsibility for the murder lies on either side of the Ibar River [which divides Mitrovica into Serbian and Albanian parts], I don’t think Serbia should block what has been done so far [in the dialogue],” Antonijevic noted. Ivanovic was shot dead in front of his party office in Mitrovica on Tuesday. He was one of the best-known Serbian political leaders in Kosovo and was head of the Serbia, Democracy, Justice Party. Serbian President Aleksandar Vucic spoke with his Kosovo counterpart Hashim Thaci, Vucic’s office said on Wednesday evening. “President Vucic once again asked Thaci to accept the involvement of Serbian state organs in conducting an investigation into the Ivanovic assassination, in order to resolve this terrible crime in the shortest possible time,” the press release said. A statement issued by Thaci on Facebook reads that responsible authorities are conducting intensive investigations and that both presidents had agreed to give enough time for competent bodies to do their work professionally and independently. “President Thaçi also stressed that the competent authorities of the Republic of Kosovo are ready to cooperate and accept any assistance that may lead to shed light on this murder in accordance with the legislation in force,” reads the statement. Dusan Janjic, director of the Belgrade-based Forum for Multiethnic Relations, told N1 television on Wednesday that he also hoped the consequences of Ivanovic’s murder, such as the interruption of the dialogue, would be temporary. He added that Serbian President Vucic had failed “at the first exam” by putting the dialogue on hold. “The crisis is guaranteed. Belgrade did not pass the first exam, by leaving the technical negotiations in Brussels,” he said. Avni Arifi, who heads the Kosovo delegation to the talks, called on Serbia to return to the negotiations soon. “There is no alternative to the dialogue,” Arifi told Klan Kosova TV, Associated Press reported on January 16. The editor-in-chief of the Kosovo newspaper Koha Ditore, Agron Bajrami, told Serbia’s daily Danas newspaper that Ivanovic’s murder would have a “deep influence on the political situation”. Jeta Krasniqi, from the Kosovo Democratic Institute, KDI, an NGO, said the murder should not affect the Kosovo-Serbian dialogue in any way, however. “This is a criminal act that took place in the north of Kosovo, and should be solved by Kosovo’s justice organs. Such an act should not be used in day-to-day politics … Belgrade should take seriously its obligations,” Krasniqi told BIRN. According to her, the EU-led dialogue is the only mechanism to resolve issues between Kosovo and Serbia, “so any attempt to turn back in this process will undermine efforts at stability and peace in the whole region”. Krasniqi added the EU should ask both parties to “prove their seriousness about dialogue, as the guarantor of these talks, by conditioning the parties that do not fulfill their obligations towards their EU path”. A survey published in February 2017 by the Belgrade Centre for Security Policy suggested that most people in Serbia support the EU-mediated Belgrade-Pristina dialogue aimed at normalising relations, with only 9 per cent of respondents against it. The former Serbian province, most of whose inhabitants are ethnic Albanians, broke away from Serbia in armed struggle in the 1990s. It declared independence in 2008. Most Western countries have recognised it, but Serbia has vowed never to do the same. Both countries, however, as the price of EU integration, have taken part in EU-led talks on “normalising” their relations.